If you ask some of my friends, they'd say leaving behind things is a skill that I may have already perfected. I was in a cab the other day with Ian and we were having this conversation about our past careers when I realized I'm already in my 6th job, considering I've finished school just 5 years ago. I remember leaving these past jobs without notice just because at that point, I felt like giving up. I ditched my engineering work for something totally unrelated to my degree, but at least I'm happier now. I've left a handful of jobs, I flee when I panic, and sometimes, I run away when I'm put under pressure. But I guess it's kind of different when it comes to people. I admit that sometimes I let people come in and out of my life so easily that I make it seem like I don't feel anything with their departure, which, of course is never the case. And sometimes, I hold on to people too much that I mold myself according to their liking just for them to stay. Well, it worked for some, and for some, it didn't. Is there a difference between leaving people behind and losing them? Regarding the blog changes, the only reason I have for deleting all of my previous posts is because they no longer represent who I am now. Charot. And as much as I believe it is important to acknowledge one’s origins, holding on to the past won’t help anyone in moving forward. We must empty the cup before we can refill it. As sad as it sounds, we outgrow people, too, and we realise that some relationships no longer fit in the world that we are recreating for ourselves so we just have to let them go. Friends become strangers and strangers become friends. That’s just how it is. I am starting my 27th year with less friends but a lot more room to meet new characters on the road. I wish I was that brave to let go of everything in the past so that I could start with a clean slate and recreate another story. He has a point, everything that happened from years ago until yesterday is already considered the past, and sometimes, the best thing to do is to purge everything out of your system. I was actually contemplating on doing the same thing just to have some sense of reset in my life but I can't bring myself to do it. It's like I'm erasing a huge part of myself and I'm afraid I would regret it in the end. So what else in my life am I planning to leave behind? I don't really know what I'm willing to leave behind right now. I'm at this point where I'm still putting together what's remained and I'm just looking at the brighter side of things. I'm standing at a curb and still figuring out which way is best to go. I hate that I'm latching onto inappropriate people with these inappropriate feelings that I have. Today, I get to finally let it all go. This post is in response to Truth Thursdays' previous prompt, Today I Leave Behind. 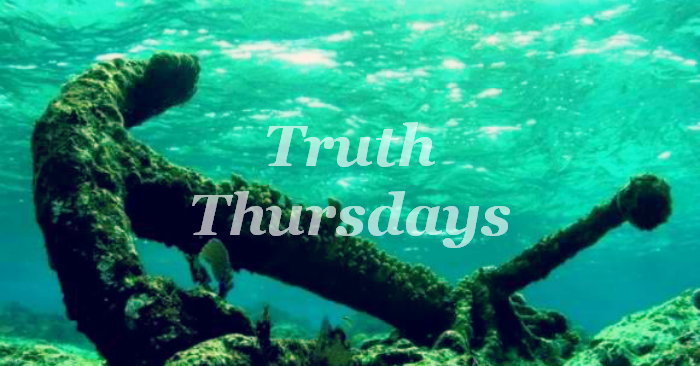 Truth Thursdays exists to connect people through writing. To initiate something honest, thoughtful and meaningful. If you want to know more about Truth Thursdays and how to be a part of it, read here.